The Jersey Shore dating reality show spinoff is reality TV done right, says Darren Franich. 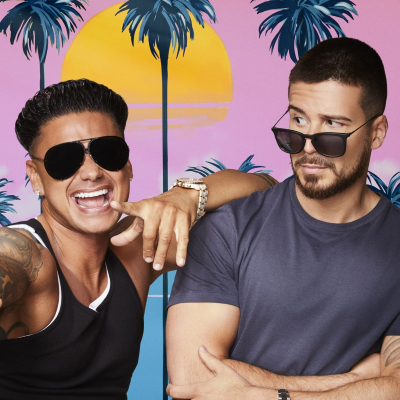 DJ Pauly D and Vinny Guadagnino "are cracking each other up, and then the women come into the house, and they are all cracking each other up," says Franich It’s impossible to tell who’s in on the joke and who is the joke, but Double Shot has fun poking holes in the gauzy romance of reality love. Vinny and Pauly stage an elaborate prank by splitting the ladies in half, telling one half that the show’s about dating Vinny and the other that the show’s about dating Pauly."